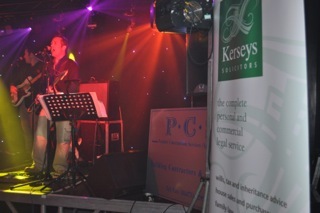 Kerseys were pleased to help support an Auction of Trade Promises/Charity Ball in aid of Woolverstone Wish which took place on Saturday 9 November 2013. We were initially approached for sponsorship due to connections made through the “Flutter of Fairies” world record attempt which took place earlier in the year. It was a very successful and enjoyable evening and although the final tally of monies raised is not yet known, people were very generous on the night.